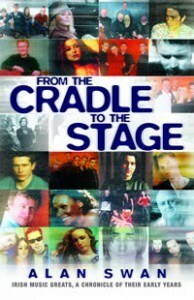 From traditional to classic and from rock to pop this book features a wide variety of Irish artists including The Corrs, Damien Rice, Juliet Turner, The Devlins, The Frames, Moya Brennan, Ronnie Drew, James Galway, Frances Black, Samantha Mumba, Christy Moore, The Cranberries, The Chieftains, Paul Brady, Ronan Keating, Westlife, David Holmes and Ash contributing directly. 315 Pages long, each act looks back on what inspired them to be the artist they have become. In the last few decades Irish music has made an extraordinary impact globally and it is timely therefore that this chronicle allows Irish artists from every music genre to share with us the memories of what has helped shape their success. To their great credit, the musicians who have co-operated in this publication have chosen to do so in a way that will be an extraordinary help to the only Irish charity funding research to find cures for blindness. All proceeds to the book go to the charity Fighting Blindness has been in existence since 1983. It is a small but dynamic charity made up of families and individuals affected by progressive blindness. The charity is determined to investigate every avenue where a realistic hope of finding a cure exists. The projects it funds are at the cutting edge of international research and have become global leaders in the search for treatments for blindness. 65,000 Irish adults and children are currently losing their sight to progressive blinding conditions known as retinal degenerations. Funds raised through the sale of this book will ensure this vital work is maintained and developed, bringing hope of a bright future to those currently affected by blindness and to future generations.